Barry J. Waldman, M.D., of the Orthopedic Specialty Center, serves as co-director of the Center for Joint Preservation and Replacement at Sinai Hospital. A member of the Rubin Institute for Advanced Orthopedics at Sinai Hospital of Baltimore, he develops innovative techniques in the surgical treatment of arthritis and perioperative care. He is a fellowship trained orthopedic surgeon who specializes in joint replacement and reconstruction. He completed his fellowship in Surgical Arthritis at the Hospital for Special Surgery, Cornell Medical College, where he specialized in joint replacement in patients with extreme deformity of the bones and revision joint surgery. Dr. Waldman believes in employing a wide variety of conservative measures before recommending joint surgery. He often employs exercise, weight reduction, medications and injections before considering a surgical option. Candidates for surgery receive extensive education concerning the risks of surgery and the expected postoperative rehabilitation and recovery time. For more than 75 years, the Orthopedic Specialty Center has been providing unparalleled care in all areas of orthopedics. From diagnosis and treatment to rehabilitation and recovery, the Orthopedic Specialty Center provides comprehensive care to restore health and well-being. He is Clinical Instructor in Orthopedic Surgery at the Johns Hopkins School of Medicine, part-time faculty. He actively participates in resident teaching and education. He has published multiple papers on infections following joint replacement surgery, use of various reconstructive techniques, and longevity of total joint replacement systems. Dr. Waldman received his orthopedic training at the Johns Hopkins School of Medicine and received the first annual Residency Research Award at his graduation. His medical degree is from the Johns Hopkins School of Medicine here in Baltimore, Maryland. Dr. Waldman’s special areas of interest include anterior hip replacement and custom knee replacement. Common treatments include joint replacement and reconstruction using cartilage replacement and joint realignment. Even though joint replacement has been one of the most successful types of operations to be performed by any specialty, Dr. Waldman still employs innovative techniques to reduce rehabilitation time and increase the longevity of the new, artificial joint. 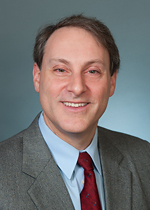 Dr. Waldman began his orthopedic training at the Johns Hopkins School of Medicine. He developed an interest in perioperative issues that affect the outcome of joint surgery. He first presented his research as a junior resident at the national meeting of the Academy of Orthopedic Surgeons and has returned many times with further research results. He worked extensively on the treatment of infection following joint replacement and published many important studies on the subject. After completing his residency, Dr. Waldman pursued a fellowship in Surgical Arthritis at the prestigious Hospital for Special Surgery in New York City. There, he specialized in the surgical treatment of rheumatoid arthritis and difficult reconstruction of bone and joint deformities. He received broad training in the treatment of failed joint replacement of the hip, knee, shoulder and elbow. He also worked on minimally invasive hip and knee surgical techniques and reduction of blood clots following joint surgery. Click here to see a list of Dr. Waldman's peer-reviewed research articles. Dr. Waldman lives in Owings Mills with his wife, Jill, and his twin sons, Jeremy and Zachary. He is a former computer programmer who remains involved in web site development. He enjoys painting and pursuing his interest in art history. Dr. Waldman is an avid downhill skier and, like many of his patients, is an aspiring golfer.